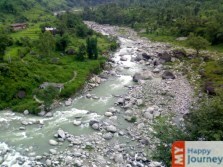 Ethereal beauty of this mini hilly region, Palampur which is surrounded by splendid mountains of Dhauladhar Ranges that meet the Kangra Valley, captivates one with its pristine charm and abundant magnificence. Situated at a height of 1219 meters above the sea level, this beautiful and enchanting hill station in the region of Himachal Pradesh is a retreat for art enthusiasts. The town derived its name from the word Pulum. 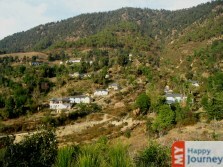 It is a Himachali word which means “plentiful water” and this place perfectly stands by its name. With deodar and pine forest, lush greenery and streams of water, this dazzling picture perfect town is famous for its soothing ambiance, aromatic gardens and fine quality of tea. 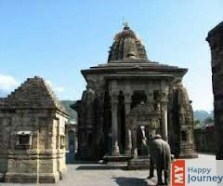 Palampur is another hilly resort which was discovered by the British. It was in the early 19th century when they decided to plant a tea scrub in its slopes, which developed fast due to favourable climatic conditions. Today, the Himachal government exports tea under various brand names to different parts of country. In addition to this, the temples, forts and pretty villages in its surrounding area and majestic snow-covered hills leave one spellbound. 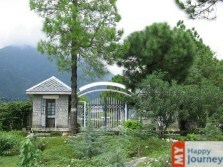 Palampur is also known for its crisscross pathways and the soothing fragrance of its woods. You can see huge scores of tourists all round the year. It is a perfect destination for couples, due to its romantic ambiance and climate. Also for tourists who wish to enjoy some exciting and enthralling activities, they can indulge in outdoor sports, such as trekking, mountain climbing and hang gliding in its hills.